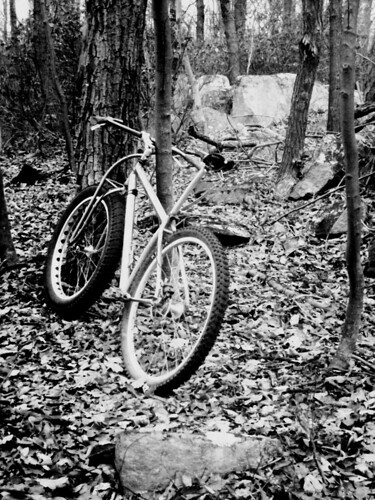 I've been meaning to do an update on the Pennsylvania trip I did to Raystown a couple of weeks ago but I've been busy riding bikes, building trails and just generaly staying busy and having fun. The trip to Raystown was well worth it, certainly worth burning a vacation day to go ride some new trails. Five of us rolled from Frederick, Larry's crew of 3 left from Chambersburg, Shawn made his way over from Harrisburg and Frank came down from State College for a total of 10 riders converging on the new IMBA designed and built trails. Before I go any further, time for a quick PSA: The trails are not officially open yet. Some are marked as closed. There's no signage up yet and no maps, so you'd have a hard time finding your way around. 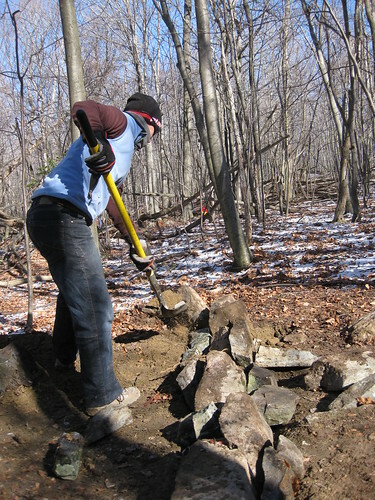 But, if you want to go sample the trails before the grand opening, you can do it by heading out to one of their work days to help finish the trails. 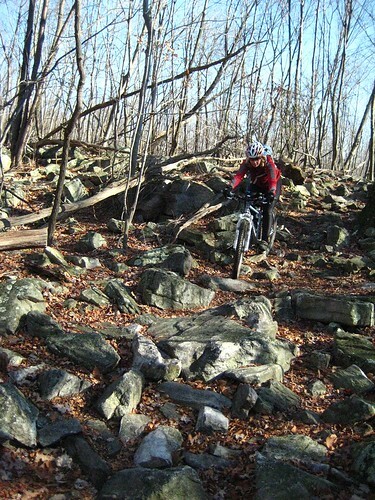 If you've got a group and want to organize a work day/ride, contact Frank at Mt. Nittany Wheelworks. Frank's one of many people, including my friend Dan, who have done a lot of work on this new trail system. Big thanks to all involved, it's is very nice already and only going to get better. With 33 miles of trail built and I believe a total of 40 slated for the whole project, it is poised to make a nice weekend destination. Situated on Raystown Lake means water activities are an option as well as camping. The trails themselves are IMBA designed goodness. Full-bore fast and swoopy rip roaring dirt track. When these trails are finalized and the leaves are gone the speeds are going to be unreal. They are already FAST, they are only going to get better. But fast doesn't mean they aren't challenging. They aren't technical but they dip and dive, bob and weave, and twist and turn all over the place. 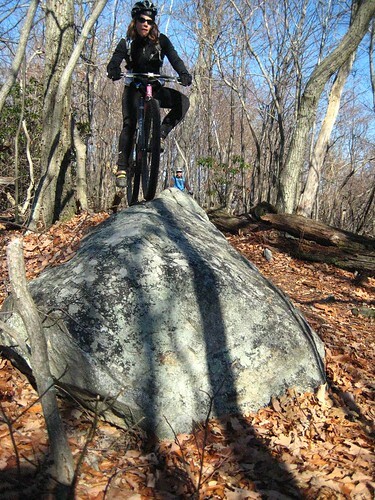 There isn't a flat spot on the trails and that's a good thing. Fat rollers that you can hit hot and low or launch sweet air. Whether you are going up or you are going down you are working. No place to rest if you want to keep on the gas. We did 20 miles with 3800 ft. of elevation gain. It's like a 30+ mile pump track on heavyy steroids that will leave you with perma-grin. Grand opening is slated for May 2009, so mark your calendars. We worked our own dirt locally over the past couple of weeks, wrapping up the fall trail work days at Gambrill State Park and the Frederick Watershed. 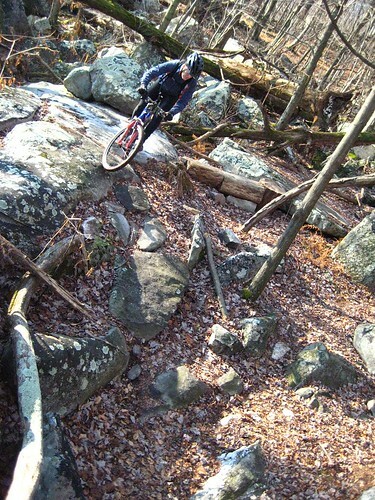 Rerouted some fall line and added some more rocks at Gambrill while the Watershed got some rotting waterbars and check dams replaced with rolling grade dips that require less maintenance and are far funner to to ride. Big turnouts on both days meant a lot got accomplished and let me tell you, none of it was easy. Everyone worked hard moving lots of dirt and rocks. Much appreciated. 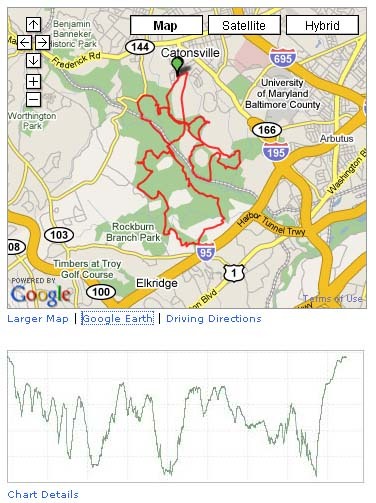 Tried to squeeze a Tour de Patapsco ride in but the stars weren't lining up. Instead we did the full bore Assault on Avalon route which yields 20+ miles of the best of the best trails the park has to offer. Lent my Jones to my good friend Mike who was visiting from Thailand and used to be my regular riding partner several years back. Also had Full Keg, Jay and The Kid along rounding out a good group. Good to get back on those trails myself. Full Keg posted a couple of photos of the ride here. On Turkey Day I put together a social ride at the Shed, no hammering, just some people getting out in the cold and knocking out a few hours of riding before parting ways to go stuff our bellies with food. We had a good group of 10 riders and stopped along the way to session a few technical spots then finished with beers in the parking lot. Good friends, good trails, good beer. So it's gotten cold, sometimes a bit gray, Indian Summer is over and we are slipping into winter but that's OK. Time for a change of seasons. The trails have already had a couple of snow dustings and I even made it out on the snowboard the day after Thanksiving. With any luck we'll be gearing up for the serious snow biking in a short bit.